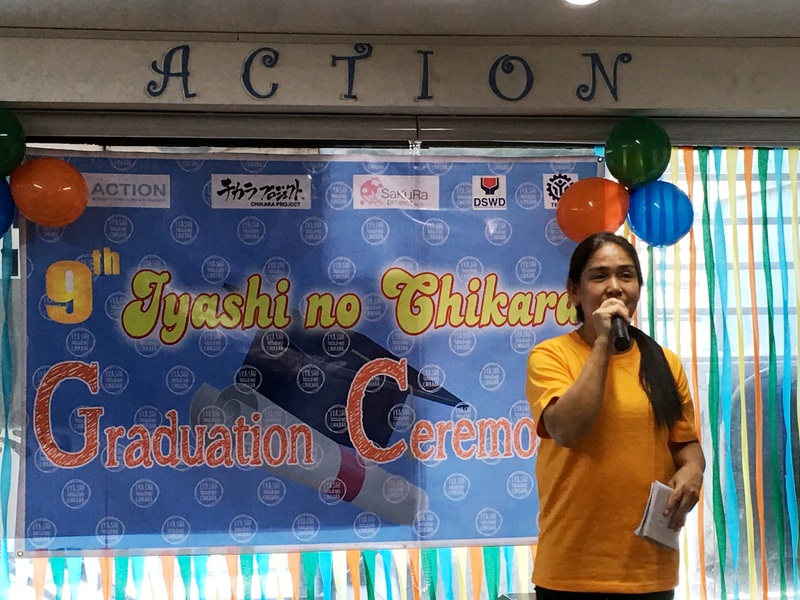 On April 26, 2018 the 9th Batch of Iyashi no Chikara (Power of Therapy) celebrated its Graduation Exercise at ACTION Chikara Studio, Quezon City. A total of 10 trainees (2 male & 8 female) successfully completed the Basic Massage Therapy Training. 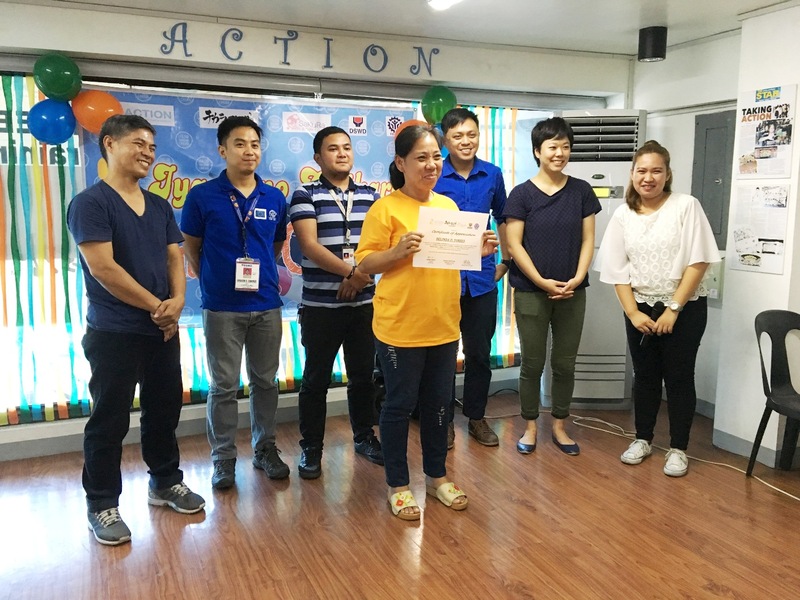 The training was in partnership with the Department of Social Welfare and Development (DSWD), Pantawid Pamilyang Pilipino Program (4P’s) and Rejob, a Japanese Recruitment Agency focused on the beauty and wellness industry. 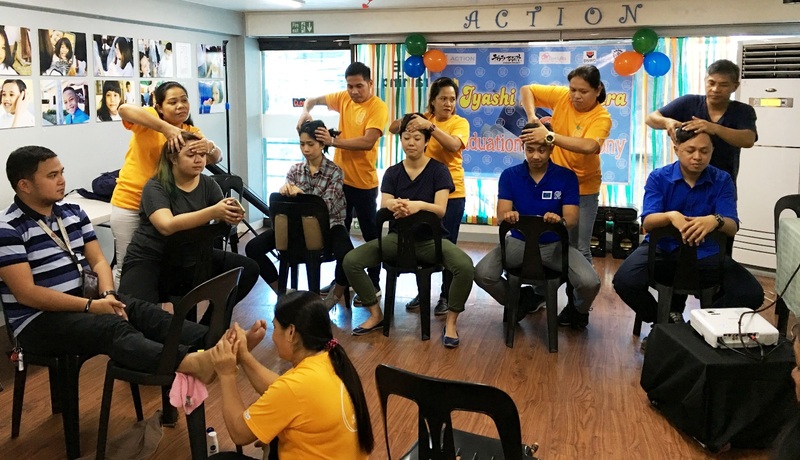 The graduates were trained on 4 types of massage techniques; Swedish, Shiatsu, Traditional Pinoy Hilot and Chair Massage with a total of 27 training sessions. Ms. Satomi Ikegami, Rejob representative and Mr. Jayson Lopez, Monitoring and Evaluation Officer of DSWD both gave a message. They congratulated the graduates for successfully finishing the massage training course and hoped for the partnership to continue. As the highlight of the event, certificates of completion together with massage starter kits were awarded to the graduates. There were also special awards given to Mr. Jose Balingit (Most Punctual), Ms. Sabina Javier & Ms. Asuncion Dela Torre (Most Punctual & Perfect Attendance), and Ms. Belinda Torres (Outstanding Performance). Two 4P’s Beneficiaries, Mrs. Sabina Javier and Mrs. Sarah Biscante shared testimonies during the ceremony. Mrs. Javier thanked ACTION, the staff and the DSWD 4P’s for the opportunity and support. She also said that the skills that she acquired will help her to earn extra income for her family. Mrs. Biscante also expressed her happiness for being part of the batch 9 of massage trainees. She was grateful for the opportunity, to ACTION, to DSWD and to her fellow graduates who became her friends. The closing message was delivered by the Project Coordinator of ACTION, Mr. Hubert Lemuel Anonat, where he extended a congratulatory message from ACTION’s Executive Director and Founder, Mr. Hajime Yokota. ← URGENT CALL FOR APPLICATION!